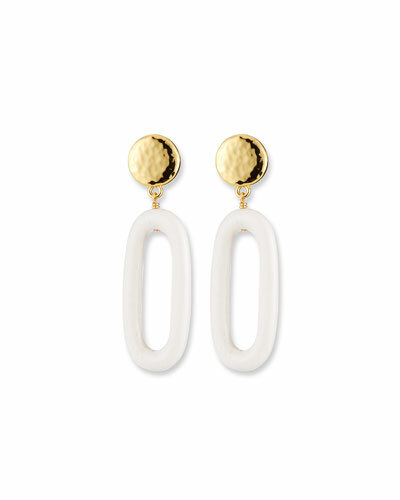 Designed by Janette Wilkinson and Jana Erwin, NEST makes luxury jewelry using elements sourced directly from nature. 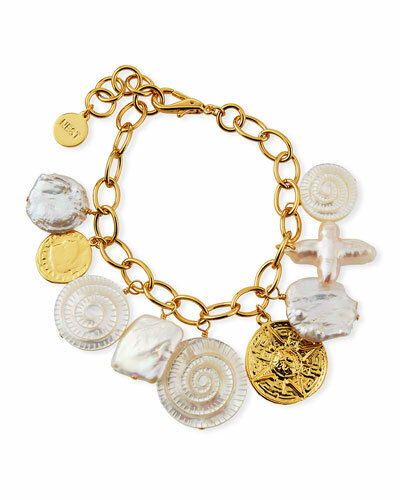 NEST jewelry is entirely handcrafted and made with items collected from around the world, such as horns, metals, stones, among other things. 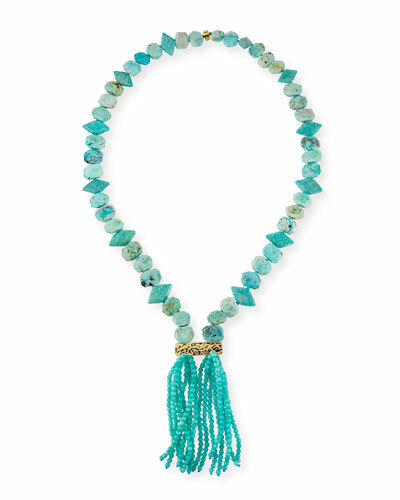 NEST crafts necklaces using materials such as labradorite with 22-karat gold finishes and sodalite beads with a water buffalo horn pendant, and bangle bracelets carved entirely from natural horn. 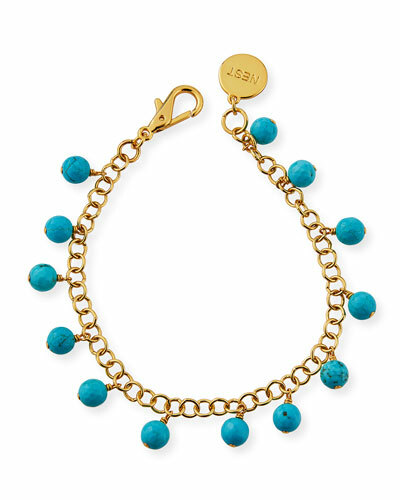 The NEST jewelry collection blends gemstones such as blue jasper, agate, pyrite, and others, with golden touches to create striking pieces of modern jewelry. 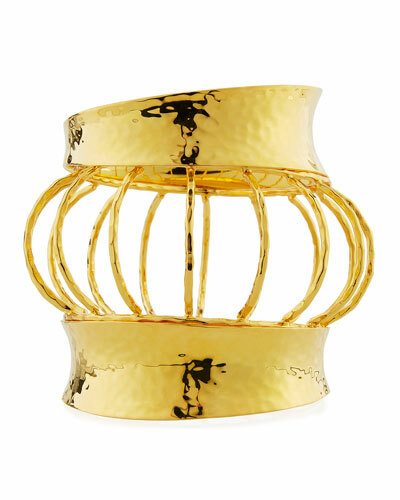 Neiman Marcus offers a stunning collection of NEST necklaces, bracelets, earrings and rings. 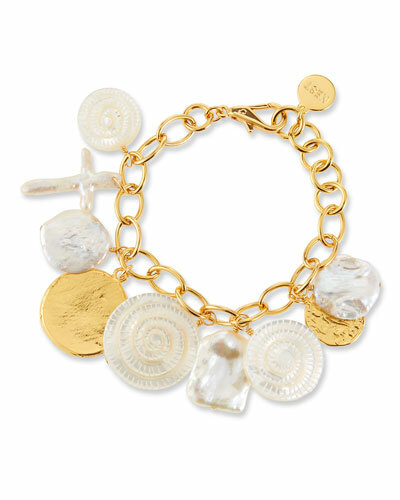 EXCLUSIVELY AT NEIMAN MARCUS Holy Ones necklace by Alex and Ani. Polished sterling silver links and hardware. Wing, angel medallion and cross pendants. Yellow golden plating at angel bezel. Lobster clasp. Approx. 18"L. Made in USA. 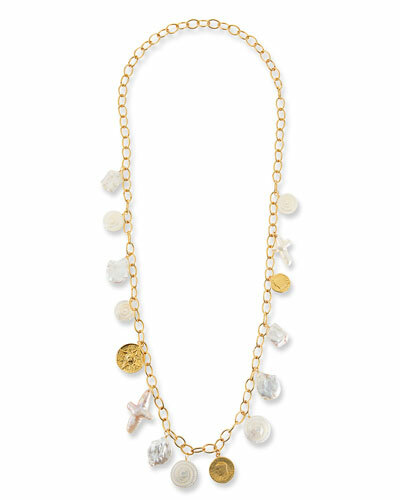 Vanitas charm necklace by Alexis Bittar. 10-karat yellow golden plating over brass. Charms include skull, hand, butterfly, etc. Apatite doublet and pyrite charms. Clear and morganite crystals. Approx. 16"L; 3"L extender. Adjustable; lobster clasp. 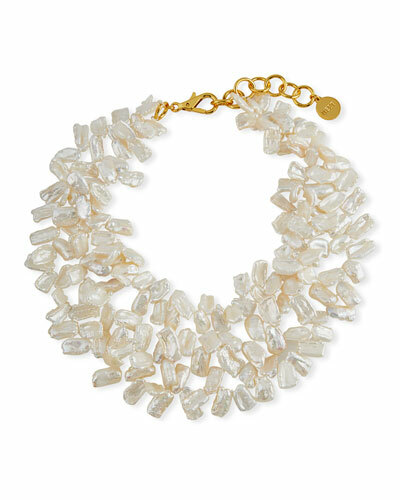 EXCLUSIVELY AT NEIMAN MARCUS Hipchik "Camellia" beaded charm necklace. Blackened gunmetal hardware and settings. 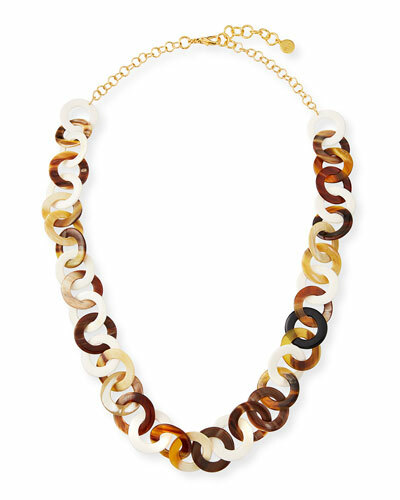 Multicolor agate and pyrite beaded strand. 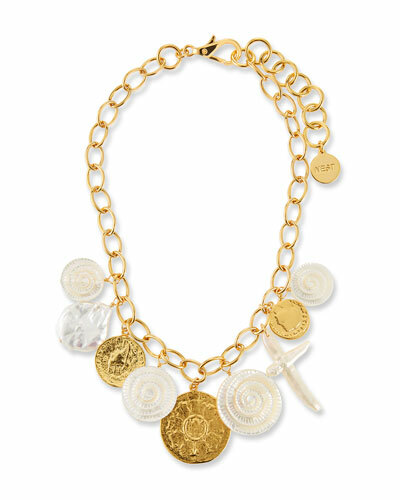 EXCLUSIVELY AT NEIMAN MARCUS Hipchik "Camellia" beaded charm necklace. Blackened gunmetal hardware and settings. Multicolor agate and pyrite beaded strand. Three cubic zirconia flower charms. Lobster clasp. Approx. 42"L.